You Might Be Shocked By What I Have To Say Today Because It Shakes The Very Foundations Of The Spiritual Blogosphere… Your Highest Good Vs The Human Need For Entertainment And Status. Today I want to write to you with a different kind of message. So today, I’ve been guided to nudge you to reconsider certain things for your own highest good. There is more info about Twin Flames out there than ever before. And in this kind of a hectic climate, there’s something I need to tell you for your own highest good. If you go back a few years, you’ll see the majority of Twin predictions *never came true*. There are hundreds upon hundreds of these old predictions on YouTube, Facebook and various blogs around the world if you look. Thankfully, the internet is the world’s greatest history machine, so we can go back and *check* anything we choose. If you’re curious, Google “channeled/update 2012, 2013, 2014” and so on – especially for Twin Flames. Find some old “channeled posts” and prophecies. The Blood Moon of 2015 and all the 8/8 “gateways” have been particularly hotly anticipated. 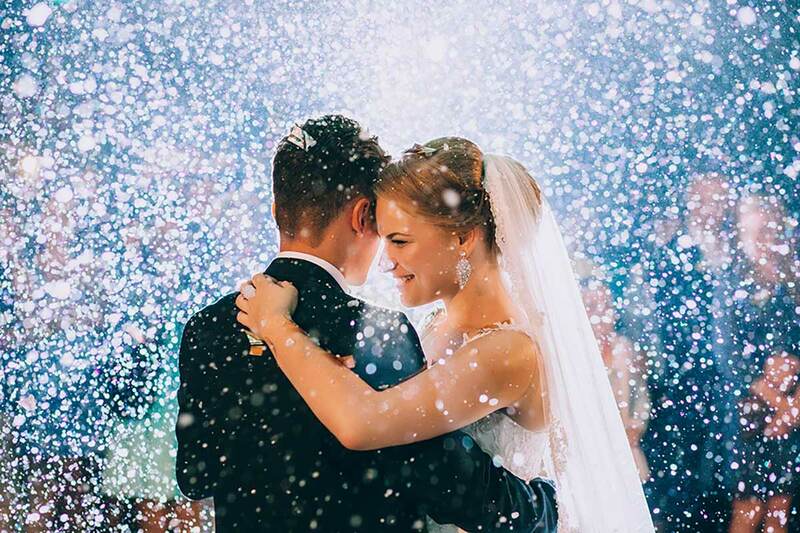 You’ll see there are hundreds of articles on supposed dramatic imminent Twin Flame Reunions, huge changes, big events that were supposed to happen. Such and such a grand spirit or galactic council decreeing that from now on, things would be different, lovers reuniting, Twin Flame Running coming to an end… And so on and so forth. Did all these amazing things ever happen? No. Perhaps for a few individuals, but that’s no more than statistical likelihood. What I so much want to remind you of today is this: Not everything that claims to be a divinely channeled prophecy really is. Always listen to your intuition. You are here to co-create your bliss. You are the master of your own journey – your soul is infinite and powerful. Those who always wait for outer changes, rarely take action on manifesting happiness themselves. They end up waiting – which leads to apathy, hopelessness and heaviness. The deeper issue is this. Words can be highly dangerous. And information is the easiest thing in the world to falsify. Just because someone says they’ve channeled something doesn’t mean it’s accurate or truthful or real. The reason I’m writing this article today is that I hear from thousands of Twins weekly who experience heartbreak and struggle because of someone on the internet’s words. Constant ups and downs. Hope followed by disappointment over and over – it gets incredibly tiring and disheartening. Keeping Twin Flames chained to an ongoing wild goose chase of constantly looking for the “next big development”, the next “revelation”, the next “truth”. I would love to help you find peace and mental calm, to return to the space where you can connect with your *own* intuition and soul’s wisdom and truly reconnect in LOVE. To rise up into your own light. This is why it’s crucial to always connect to your own intuition. I show you how to do this through the Free Guided Meditations and eBooks here, plus in the Vibrational Alignment Program which I was asked to share with the Twin collective after my own Twin and I reached Union within 18 months of our first encounter. But don’t just take my word for it – see what other Twins have said about their experiences with my methods here. Information is incredibly powerful – it can change the way you live and the way you see your whole reality! It can literally make the difference between happiness and sadness, taking action or sinking into despair. My desire is always to help you step into the space where you connect with your own infinite power as a co-creator. To your soul’s presence. Incidentally, this is also the space where you are aligned with your Twin Flame Soul Song – making you magnetic to your mirror soul, attracting harmony rather than struggle. The unfortunate thing is that no matter how well-meaning someone is, when a blogger/author/psychic is in a low energy vibration, what they communicate will be tinged with this. 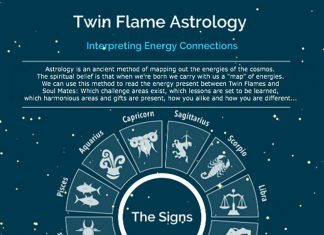 See an infographic here on why low vibration energies and information is so damaging vs how high vibrations can help you reach harmony and Reunion with your Twin Flame. If you take in low vibration information you’re absorbing false beliefs and energetic templates of limitation and disempowerment. Damaging information can block someone from being able to lead their lives to the fullest, manifesting unhappiness and problems in the Twin Flame connection. That’s why Twin Flames 11:11 is always focused on high vibrational information to help you empower yourself above all. And why venting isn’t accepted (read more here). My aim is to show you how energy works in the Twin Flame relationship, so you can resolve problems and use your gift of free will and co-creation to align with love. A key factor in the spiritual blogosphere is – the internet allows everyone to hide! 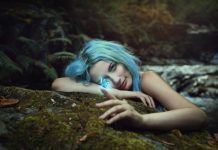 If you actually met some of the bloggers who are writing “galactic updates” or prophecies about the future of Twin Flames and earth, or even those who are desperately reaching out trying to help other Twin Flames – you might think twice before reading their articles or watching their videos. Not everyone is someone you should trust. Often the people who are the most keen to give advice are those least suited to! You don’t know the truth about most of these people’s actual lives. Are they happy themselves? Are they united with their Twin Flame? Are they living abundant, joyous lives? Let me put it this way: If a mechanic turned up to your house and their own car was a total wreck, would you let them fix yours? If you went to a doctor, would you expect them to have a medical degree or just be passionate and intuitively guided to operate on people? Early on in my journey I experienced healing sessions where I felt much worse rather than better afterwards, I was given highly dubious advice and so-called predictions on numerous occasions, I had sessions where the other person was more interested in telling me how “advanced” they were spiritually than actually assisting me as a client… And unfortunately I know this is far from rare – I hear from Twins every day about their experiences with dubious practitioners. I have honestly been shocked at how easily authority is given in the spiritual field. If you were a journalist or an academic, you would always need to cite sources. But the spiritual field is flowing over with opinions and theories that are left completely unchecked. I don’t doubt your intelligence – but one of the core patterns human beings share is the need to be lead. Especially as regards the future. It makes us incredibly vulnerable to “leaders” at challenging times of our lives – especially those who appear charismatic and passionate. Look at how political leaders throughout history have persuaded people of the truth and righteousness of things we now see as dubious or downright atrocious. In the 20th century alone, there were countless examples of this, including genocide. And in recent times, huge division has stemmed from similar themes in international politics. And yes, I know this sounds extreme – but my point is, be aware. Be conscious of what you take in. Don’t give authority to others just because they are keen to express themselves. As a spiritual blogger, the truth is people rarely question things you write. There are people out there giving healing/reiki/coaching/Twin Flame/advice/psychic sessions, who are honestly not qualified or able. So be very careful. Yes, sometimes a person’s work or writing resonates. So did religious decrees in the middle ages – people used to believe in witches, that black people didn’t have a soul, that the devil was controlling rock stars to infest people’s minds with evil messages that could only be heard when you played records backwards, that women were incapable of running their own lives (until the late 1970s women weren’t allowed to get a mortgage or their own bank account in the US/UK – their father or husband had to be the registered holder), that placing leeches on the body could cure illnesses … The list goes on. (Note how there are sources for each of these). Be aware. Guard your mind and emotions from damaging content that could otherwise derail your happiness. And if you feel you’ve already been dragged down by negativity, go here. Yes, I know my examples are extreme, but it’s important to me to write something that helps snap the community awake regarding the incredible amount of dubious information out there. So many sites and bloggers are over-complicating the Twin Flame connection, creating more confusion, more helplessness, more mystification… bringing Twins further and further away from themselves and the truth of LOVE. Be extremely careful who you lend authority to. Be extremely careful with whose views you let into your mind, whose perspectives you allow to color your reality, whose words you allow to steer your path. Ultimately you are your own savior, you are your own best guide. That’s why I teach energy management and clearing, not rules and mystical dogma. You’ll remember I’ve said this before. Follow your intuition. Yes, some people are truly gifted and able – but they are few and far between. This is a huge shadow area of spirituality no one ever talks about. How well-meaning bloggers pull people away from their inner truth by keeping them locked in a cycle of ever more amazing information and complicated theories. Today, I’m here to tell you to be careful with your spirituality and your Twin Flame journey. It’s yours to define. It’s yours to live out, to explore. You are your own spiritual leader. You just need to clear out the congestion and center into your own truth – go here for a free guided meditation that helps you with this. Most of us would never dream of letting a random stranger into our house. We wouldn’t dream of letting someone we met on the street into our bank account or let them do our taxes! It’s time we start being as mindful and clear about our spiritual practices as we are about our real world assets! Once a thought form or spiritual dogma takes hold in the mind, it’s not easy to get rid of. Superiority and separation from others based in feeling “special” for being “spiritual”/“illumined”/a “twin flame”/an “ascended master”/an “ancient elder”/a “starseed” etc. Always listen to your energy when you read anything – including my articles! All information has a vibration – if you feel “off” when you’re reading an article or listening to/watching Twin Flame advice, step away. I am going to travel this journey my way. I am going to follow my own inner compass and do what’s best for me. I don’t need to know someone’s rules for Twin Flames, because my Twin and I are unique individuals and we make our own rules. I cannot tell you how much I respect and honor you as a soul. I do hope you will honor yourself, follow your bliss and trust that above all you hold your own “map” to love. If you’d like to learn more about my methods for reaching a state of happiness and love both within yourself and with your Twin Flame, so you can follow your inner soul’s “Twin Flame Blueprint” and rise into your highest potential – go here. Let me note that the weekly energy forecasts you read on this website are astrologically based energy reports. This means that I give you insight into the energies impacting the earth plane – with a focus on Twin Flames. So you can address blocks, navigate the energies accordingly and make the most of the cosmic “current”. The motions of the planets and their electromagnetic gravitational impact on each other and us here on earth, can be verified. Astronomers have calculated the orbits and transits of the planets, and this can be looked up online. When you have an understanding of astrological signs, motions and archetypes, you can interpret these energies. So what you read in my work is never something I merely “pick out of thin air”. 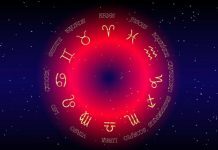 I check what is happening with the planets and energies, then and only then do I use my spiritual connection to give you a real world understanding of what impact this has on the Twin Flame connection. You could consider it a very sophisticated cosmic energy “weather” forecast, if weather had a specific purpose. But I also strive to show how you are an individual with your own energy background interacting with this incoming “weather” – and importantly how you always have Free Will choice. This is an important distinction to “predictions” that come solely from someone’s mind – without outer verifiable factors being involved. Want more? Try my Free Guided Meditation Downloads for Twin Flames!